Here’s a video analysis of a flood concept from an empty set. A little daring maybe for 12-14 year olds, but a solid concept nonetheless. 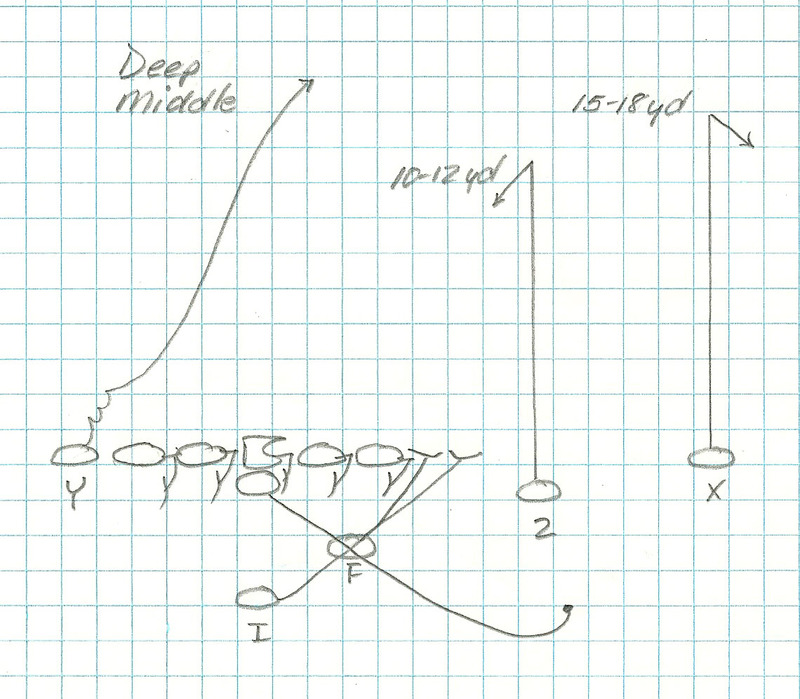 We share it because it shows you how to create and attack a void using layered routes and how to create a mismatch between a LB and a speedier receiver. Good stuff. You won’t see it on Sundays because no coach in the NFL wants to see his million-dollar QB get blown up. So why run it on Saturdays with your middle schoolers? The reason is simple really. The sprint-out pass can do a lot of good things for an offense while doing a lot of bad things to a defense. For starters, it can protect your QB by varying the launch point (where he releases the ball). Defenses cannot pin their ears back and rush him since he’s no longer sitting in the pocket, surveying the field. And then — and this is a biggie! — once he breaks contain, the QB poses an immediate threat to the perimeter defenders.